When you're 7 years old and sat on the floor of a shed-like building adopted for the madrasa, you do slip into an unanswerable thought of an unquenched mind. "Why is after-school mosque so boring? How come school, that's longer and more far away, is really fun and you get to play? But the only happy time is on Fridays when Ustadh gives us a reward for leaving." I didn't hate mosque teaching. Mosques are the go-between steps from our first education with our parents, to being raised by state schools. But I had justified my dislike of an institution that used chalkboards for data storage, and public Qur'an recitals as disciplinary action. I resigned from madrasa aged 9. Studying the Qur'an to this day still excites me. It's exciting in the way a theme park is. Our mosques in Britain have kept the tradition of traditions yet a majority of them lack the basic attitude required to invite new minds: enthusiasm. When iPads and retina scans are the paper and ink of our state schools, I desperately want to see more resources being used in mosques. And I believe it begins with a more creative approach to presenting the Qur'an. Whether the student is aged 5 or 40. I memorise Qur'an quite basically using the mushaf, the text book copy, and study it using contemporary technologies - whatever is available to me, computers, mp3s and apps. Nothing beats holding the book itself though. For the message to penetrate a young heart so it's permanent, the person has to be constantly engaged with it. Breaking down chapters into mind-maps and posters to hang on the mosque wall makes a school-like environment of visual learning. After a reading and memorising session more hands-on activity needs to take place. Computer tests, Qur'an board games, connective "trump" cards to jog a child's memory are what my parents and I already use (we're a bunch of teachers). Using active tools is for kinesthetic learning and it's a predominant learning style (especially in boys) so unless the Qur'an reader has a groupie to sit and regularly recite to, the words will jumble around without implementation in real life. On MUSLIMNESS we interviewed the 'Reading With Meaning' photographer who recreated each Qur'an ayat using Lego. That's innovative learning and it enhances the message. 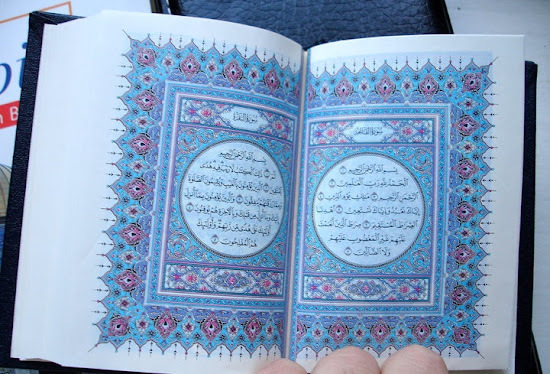 Both students and teachers have to find the Qur'an contents captivating in a similar style. It's not enough that the teacher is spiritually in love with the Holy book - how does this love transcend to a mind in order to broaden his or her thinking? A simple investment in 'Dhikr Notes helps the student mark out similar themes, goals to achieve, and duas or verses to learn. 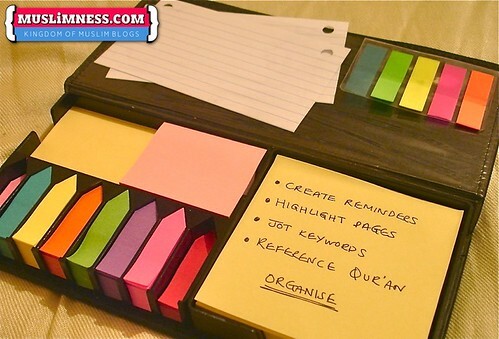 Larger post-it notes can be used as book marks and do underline areas for improvement. Teachers can list strengths and weaknesses in a planner for the child to show parents. Simple reports are already in use throughout mosques and with a little expansion, a high quality table format using a PC can be sent home periodically to say, "your child's done all this, masha'Allah!" Never, ever, ever write in your Qur'an with a pen! Encourage your students and yourself to make notes in the blank margin of a translation in pencil. A notebook should be used as a homework planner, to jot important references and to take down tafsir. If you've taken a break from Qur'an reading in a state of wudhu, get a translation and read up on the prophets' stories - Surah Yusuf, the romance between Musa `alayhisalam and his wife Safura, the difficulties of Prophet Ayoub `alayhisalam, and qualities of Heaven, life after death, halal food and environmental practices. It's all there in that Glorious Book. You just need to find and remember it. And to achieve this, we invest in colour, marker pens and a whole lotta drawing. I got a hold of an A6 sized binder made specifically for flash cards (note cards, revision cads, whatever you want to call them). It's about 15 cm in length, is slightly larger than a travel size Qur'an and is perfect for older students who are memorising the holy book. Qur'an hifdh memorisation traditionally begins with a qualified teacher who has ijaza. He or she must ensure the students use the same large print copy of the Qur'an, are recapping each verse daily without break and are engaged with the text, using appropriate creative methods. After I've memorised a few verses I like to get them checked by my teachers. I repeat them to everyone I know, and I will record my recitation to keep a log of mistakes and corrections. I will also copy out the Arabic to understand how the words are connected what each letter means. 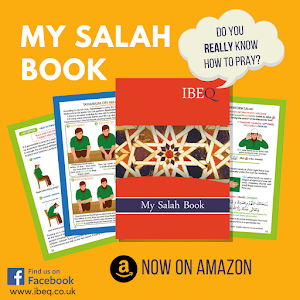 For children, a hifdh log book is a fantastic idea, available from Learning Roots. *Review to follow. Eventually, when the memorisation and applciation of higher level tajweed and translation is complete, you want to condense it down. It needs to be in a "documented file" in your brain so reading the Arabic text alone, you're able to give a talk on a chapter or a theme and create entertaining powerpoint presentations to show children the content. For myself, flash cards are the peak of learning as I use just one card to bullet point the entire history, context, message and Arabic linguistics of one chapter - mostly those shorter chapters in the 30th 'juz, volume of the Qur'an. Surah al-Maun for example is a 7 versed chapter in the 30th 'juz, related to charity. It compares the believers who worship God through physical prayer only to appear pious, with those who are real tight (mean) with their generosity towards orphans and the needy. After memorisation, a study period of tafsir, interprepation and explanation, all I need are two keywords to bring forward the whole chapter in my mind. 1. Ya du`u = (يَدُعُّ) a verb that comes from the root da`a (دَعَّ) and means to "repel, repulse, thrust, push back and drive away with violence". 2. Ya Huddu = (يَحُضُّ) another verb, is from the root word hadda (حَضَّ) meaning to "encourage, urge, pull, inspire." 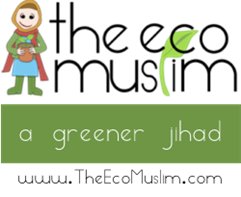 Ya huddu: encourage, is mentioned in verse 3 and is the exact opposite of ya du`u in verse 2: repel. For me, these two words represent the core of the chapter which is why I focused on them. I wrote these two verses out, highlighting the two keywords and connecting them with their meanings. Surah Maun is in my head but I can recall some of the detailed meaning from beginning to end using one flash card. How does Allah Teach Patience in the Qur'an? The concept of Quran Reading with Tajweed has immense important in the preservation of Quran and its authority, as correction and beauty of the words leads to the production of perfect meanings. It is obligatory for every Muslim to read the Holy Quran with Tajweed. Indeed studying the Quran at the mosque is very beneficial in terms of rewards obtained. However, today with the advent of latest mobile and cell phone technology, there are certain apps like Noorani Qaida that Helps us Learn Arabic Quran and the Pronunciation Free of Cost. It includes the audio and graphics and detailed explanation of each and every word.